Tracklisting Revealed To Kid Cudi's "Man On The Moon II"
Cleveland, Ohio emcee Kid Cudi is at work on his second album in just over a year. Planned for release next month, Man On The Moon II: The Legend of Mr. Rager will be the G.O.O.D Music artist’s sophomore album with backing by Universal Motown. 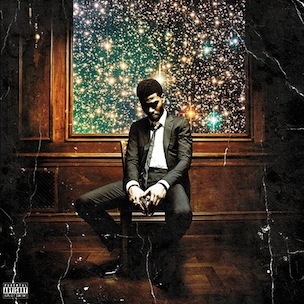 With increasing spins of the single “Erase Me” featuring Kanye West and produced by Jim Jonsin, Cudi recently unveiled the project’s cover art. 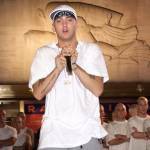 Presently planned for November 9 release, the sequel to Man On The Moon: The End of Day is expected to feature the likes of Snoop Dogg and onetime Definitive Jux emcee Cage, who appeared on the leaked “Maniac” last week. The aforementioned End of Day album is nearing a gold plaque, as it remains on the Top 200 of the domestic music charts.